Chapter 14 explained how VBA applications can modify the Ribbon by creating custom tabs, groups, or controls. This was done by creating a text file containing the XML for the custom UI definition and adding it to the XML workbook file. When Excel loads the workbook, it sees the custom part and processes it, creating custom controls. As designed, this allows you to create document-level RibbonX cus-tomizations, but that chapter demonstrated how to achieve application-level customizations by simply using a standard Excel XML Add-In (.xlam). The "official" approach to application-level UI customiza-tions is to use a COM Add-In. 1. Remove the default form. 2. Delete all the code from the Designer Connect class. 3. Edit the Designer to give it a meaningful name and description, targeting Excel 12.0 and loading at startup. 4. Change the project name from MyAddIn to XLVBARibbonX. 5. Click Project O References and uncheck the reference to the Visual Basic 6.0 Extensibility library. 6. Check that the project references the Microsoft Excel 12.0 Object Library and the Microsoft Office 12.0 Object Library (which contains the definition of the IRibbonExtensibility interface), adding them if they're missing. 'Called by Excel at startup. Provide the custom UI. 'Here, we're Adding a simple button to the middle of Excel's View tab 'Typically, this would be read from a resource file sXML = ""
"xmlns=""http://schemas.microsoft.com/office/200 6/01/customui"" " & "onLoad=""CustomUI_OnLoad"">" <ribbon>" <tabs>"
<tab idMso=""TabView"">" <group id=""XLVBAView"" " insertAfterMso=""GroupViewShowHide"" " label=""VBA Prog Ref"">" <button id=""CTPTest"" label=""A Test"" " imageMso=""DateAndTimeInsert"" size=""large"" " onAction=""CTPTest_Click""/>" </group>" </tab>" </tabs>" </ribbon>" </customUI>"
'which is used to invalidate controls, forcing a refresh. Compile the DLL, start Excel 2007, click the View tab, and click the Date Picker button in the middle of the tab. You should get the Clicked me! message box. Note that the GetCustomUI function is only called once in the life of the COM Add-In, at startup. That means you have only the one opportunity to provide your custom UI XML. Although you can change the visibility of controls, in practice that means you are extremely limited in the degree to which you can change your UI in response to changes within Excel (such as opening or closing workbooks). This is a serious deficiency of the COM Add-In RibbonX extensibility model. Instead of being asked to provide CustomUI XML at startup, Excel should provide a reference to a class factory the Add-In could use to create or modify UI customizations at any time during its life. As you'll see later in this chapter, that design is used for custom task panes and it works extremely well. 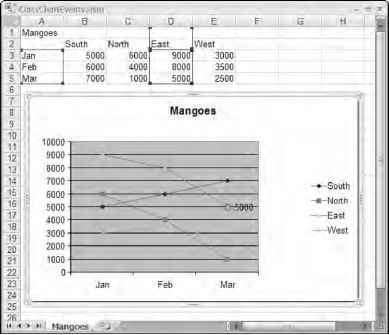 How to add ribbon controls in excel 2007? How to add the Designer tab in MS Excel 2007 ribbon for vba? How do I find available ribbon controls in Excel?